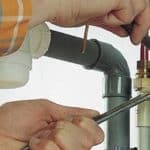 Emergency Boiler Repairs – A&C Heating and Plumbing Ltd.
Do You Need Emergency Boiler Repairs in London? 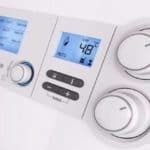 A faulty boiler or central heating system can cause a cold, affecting the hot water supply and in some cases could pose a more serious risk to you and your carbon monoxide poison family. This means that we have the experience and knowledge to make your heating system work again in the shortest possible time. There are thousands of brands and models of boilers manufactured over the last four decades, so experience is vital. You can rest assured that our specialist technicians can solve your problem. We have some experienced technicians for over 15 years specializing in boilers. This means that you are in safe hands. Once the situation has been evaluated, actions will be taken immediately to resolve the issue. If unloaded parts and materials are required, work will be done temporarily in a safe state, with completion as soon as possible – usually the same day or the next day. You never pay call charges, so you’ll only ever pay for the time our engineers spend in your home and not the time required to travel to rural London! 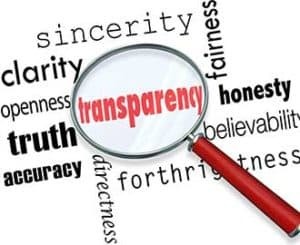 We believe in the importance of being honest and transparent about our rates and committing you to never be subject to hidden taxes. 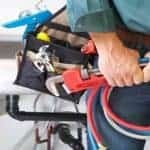 Our reputation as one of the leading providers of low cost, high quality boiler repairs in the region has led to a large amount of contracted work for letting agents and social housing organisations, and we are on hand for landlords requiring emergency boiler repairs on behalf of their tenants. If your make isn’t listed, we can still help you on 0800 1777 957. With over 15 years in the industry, our engineers are fully experienced in the various boiler makes & models. Plus, they carry a comprehensive tool kit to ensure repairs are actioned as quickly as possible. 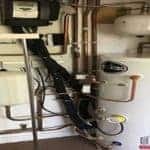 Why choose us to repair the emergency boiler? We are a big company. We always have a number of repair technicians available across London. Our London office with a 24-hour capacity can have an operator with you within one hour, day or night. We will always take the call in a polite professional manner. We guarantee you have a technician at your company or at home within one hour of your phone. It does not matter what day or night it is. We do not charge a call. We never apply any hidden extracts. We have a very competitive pricing policy. This means you will never have a shock when the bill arrives. All our work is guaranteed 100%. Why choose a jack of all jobs to deal with the emergency? When for the same or less money you can have a specialist. The quality of our work has earned us an incredible reputation – over 60% of our customers are repeating themselves. 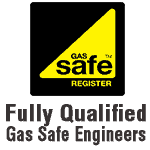 Our securely qualified Gas Safe engineers will quickly identify the failure and, whenever possible, will repair you safely and efficiently at the same visit, leaving your house clean and tidy as you find it. If for any reason a replacement item is required that our engineer does not have, we will safely do your home before returning as soon as possible to the required part. We also guarantee all our work – so in the unlikely event that something is going wrong, you will not be left to the full. We have heating engineers and installers from different areas of London including Ealing ,Fulham , Hammersmith, East Ham, Tottenham, Islington , Harringay , Notting Hill, Pimlico … We cover the entire London area, including North, East, West London. Our promise to you is that our engineers will always be polite and professional, that they will clearly explain the work you need to repair your boiler. Being the most used appliance in the house, the impact of your boiler that does not work can lead to a lot of stress and inconvenience. With an one-hour and no-charge response time, you can be sure that when you need help, our emergency room is available to help you 24 hours a day, 365 days a year. Our promise to you is that our heating engineers will always be polite and professional, that they’ll clearly explain to you the work that is needed to repair your boiler. Reliable and professional emergency boiler repairs in London. Call 0800 1777 957 today!